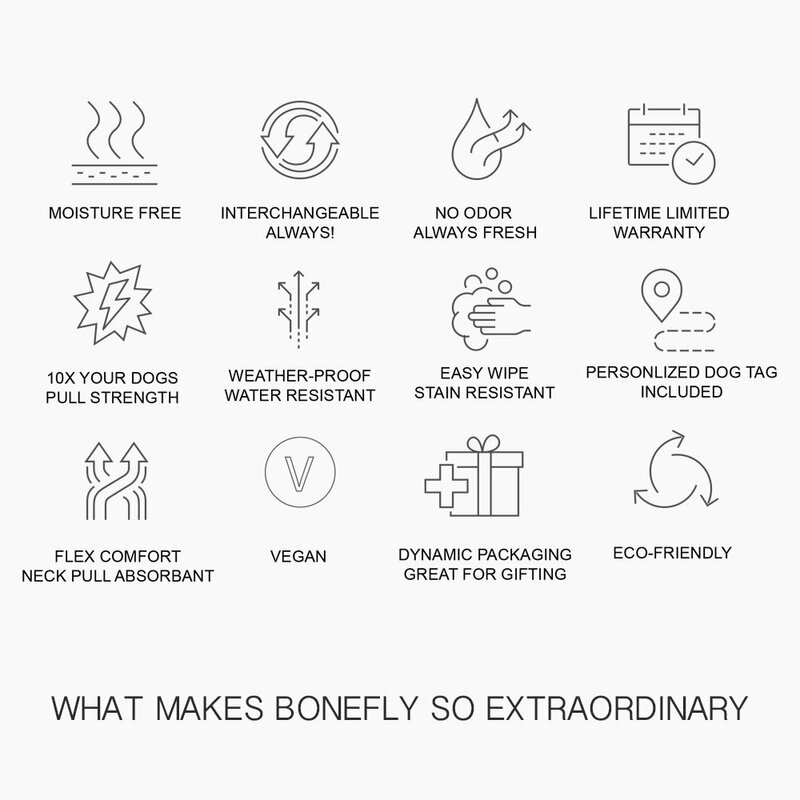 The bonefly harness offers a soft ergonomic structure with a simple and unique adjustable feature for the perfect fit. A easy step in design with step, snap, and go function that delivers the most comfortable positioning for your pets ability to enjoy. Designed to not rub against leg movement during all types of activities. Crystalized with Swarovski hand set crystals in our signature premium plated bones.